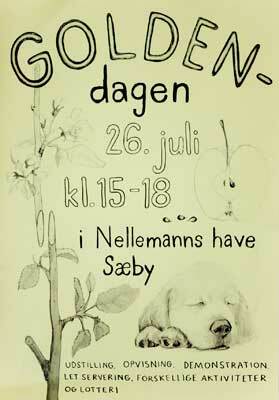 The GOLDEN-day was celebrated in the lush recreation area Nellemans Garden, Sæby, DK. 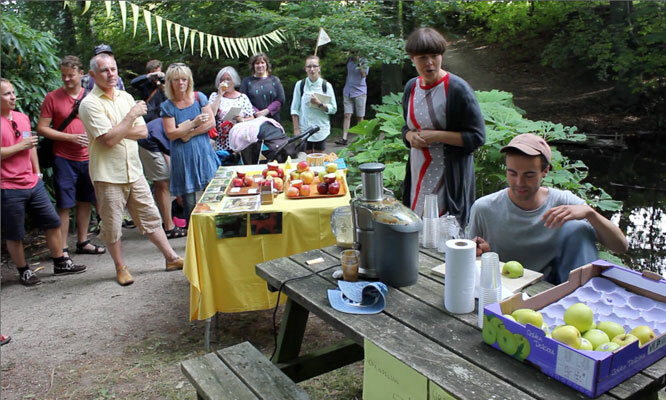 Being simultaneously a dog breed gathering and an Apple Harvest Day, visitors were invited to a glass of freshly squeezed apple juice and could enjoy a variety of hands-on activities, exhibitions, shows and lotteries - all in some way connected to the Golden Delicious apple and/or the Golden Retriever dog. The friendly and inviting hobbyist dimension of the apple/dog was highlighted during the day. The event was realized within the project GOLDEN / GOLDEN in which mankind's relation to domesticated life is both scrutinized and experienced. With gratitude to Gardener Hannes Norr and Lise Haurum.